At Cal Fit, we are proud to encourage all of our members to set and reach goals. It thrills us that there is so much variety in those goals. We have elderly members training to improve their balance and stability. We have teen members who are training to improve performance in a sport or recover from injury. We have parents who are training to increase their energy or reduce stress. We have athletes who are training to excel in competition. In our clubs, members come with all sorts of "whys"--the reasons they are there and what motivates them to keep going. Member Jeanette A. came to us with a specific "why" seven years ago. 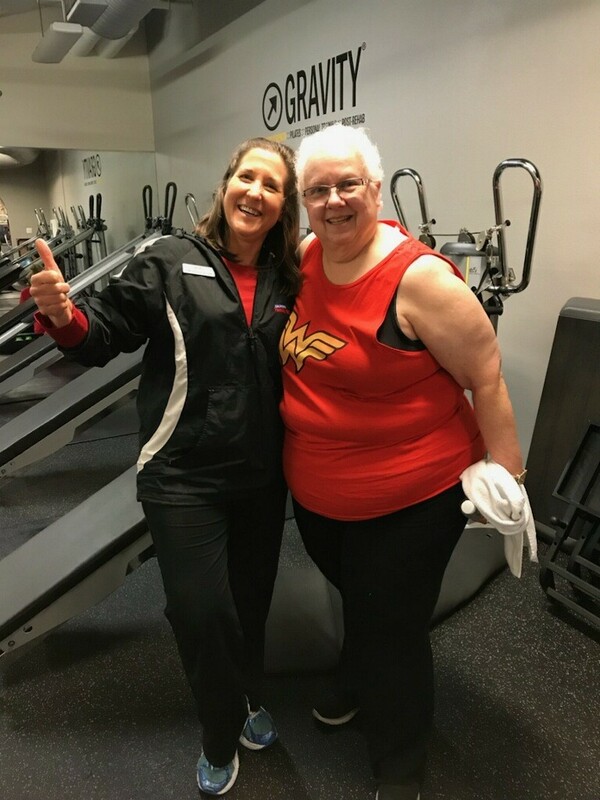 Following partial left knee replacement surgery and outpatient physical therapy she decided to start going to the gym to exercise with a personal trainer. "I felt like I need to do that to maintain and improve my knee function," Jeanette explains. "Since then, I have had three trainers leading up to my current trainer, Debbie Barry." With Debbie's help and expertise, Jeanette has been working on balance, mobility, endurance, strengthening exercises, and weight issues. Last year, Jeanette's training goals were revitalized when her boss issued the office a Holiday Plank Challenge. He encouraged Jeanette and her co-workers to perform and time planks for a 12 week period. Jeanette decided to train with her office Holiday Plank Challenge in mind. 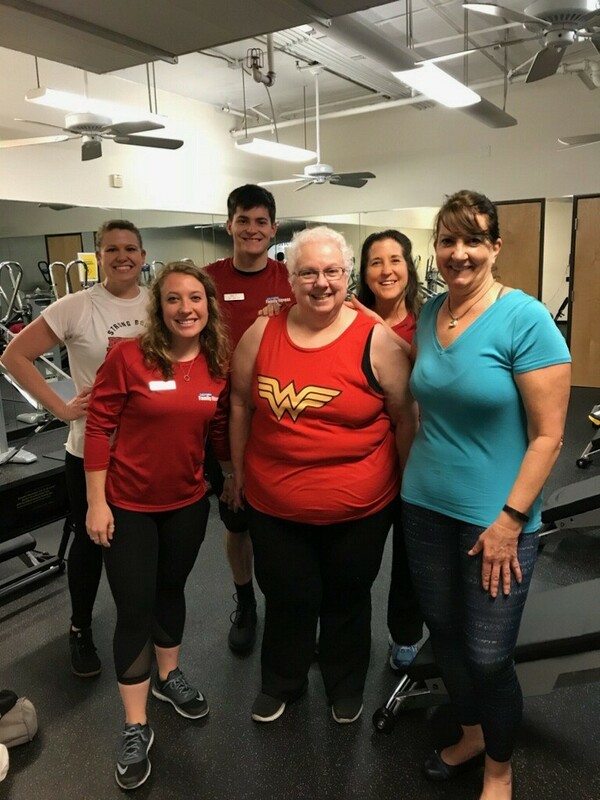 "With the help of Debbie, we worked on a modified full plank on a gravity bench, due to issues getting down to and up from the floor," Jeanette told us. "I started on November 8th but could only hold the plank for 45 seconds. Each week, we would work the modified plank into my workout and each week I would hold the plank longer." Jeanette's boss had set January 12th as the last day of the challenge, so a few days before that, Jeanette wanted to make sure she was ready. "I challenged Debbie, along with other trainers and clients, for my final Plank hold. 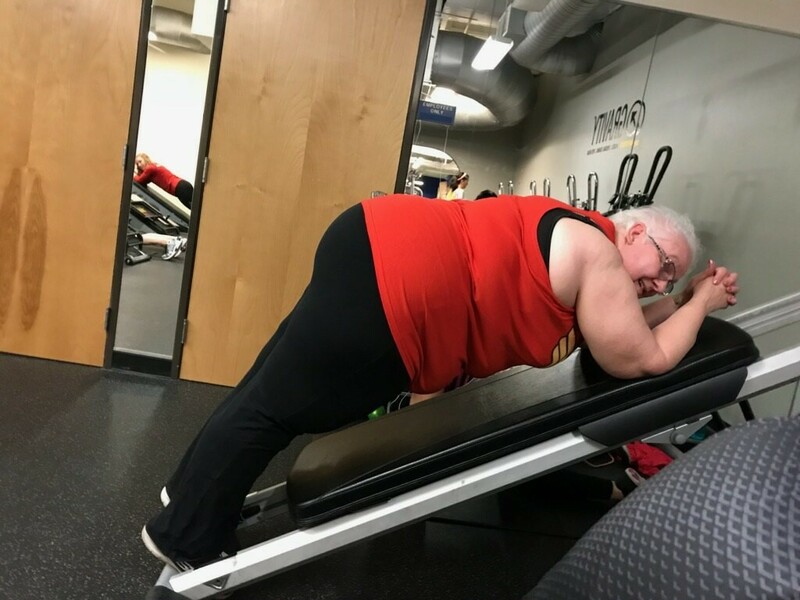 I thought I would be able to hold a plank for 5 minutes," Jeanette admits, "but with the encouragement of these friends, I was able to hold the plank for 7 minutes!" 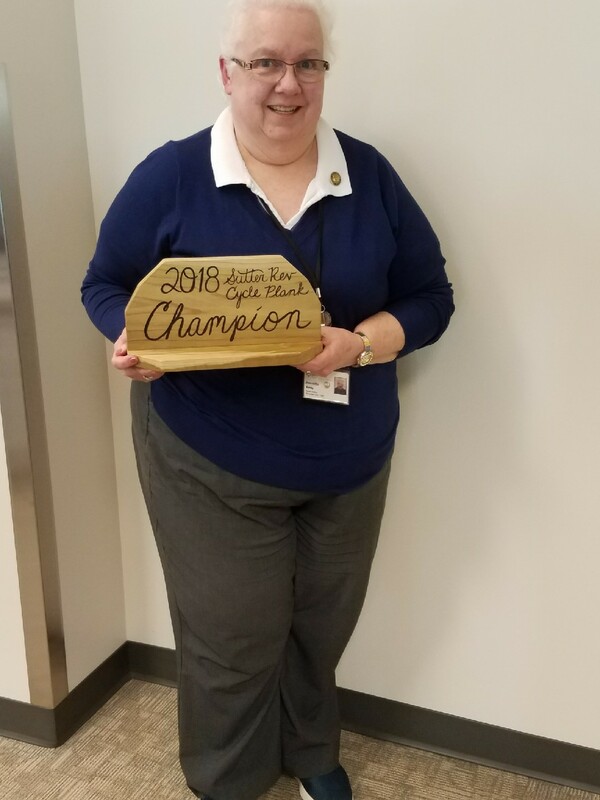 When all of the times were Jeanette won her office's Holiday Plank Challenge with the most improved time! Jeanette felt great about achieving her goal. She notes that she has more goals that she continues to work on with her trainer. Giving her trainer a shout-out, Jeanette says, "Thank you Debbie for your help and encouragement!" We love non-scale victories! It's important to look for accomplishments of all kinds in your wellness journey, and we are happy to celebrate this one with Jeanette. What goals are you working towards? Is there a way that Cal Fit can help you reach those?